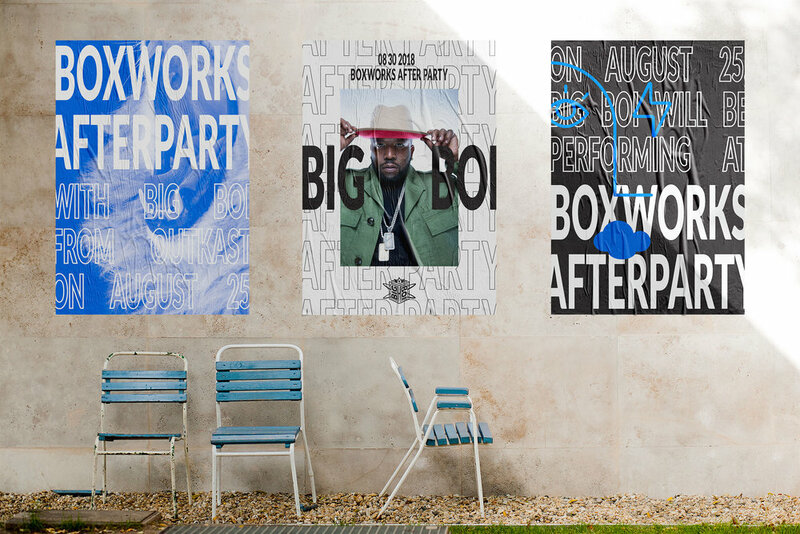 BoxWorks is an event that empowers users to rethink the way they collaborate, innovate, and engage with Box. The way they transform customers’ digital business makes an inspirational story and by showcasing their customers’ success, we demonstrate how their story keeps getting better and better. Create an identity that encapsulates how Box defines as the future of work. Who powers that future? Where does Box fit in the process? How do they lead the conversation? How do they spark inspiration for their partners? How do they embrace and empower customers to keep challenging the world around them? We told Box’s story through their customers. The brands they power are the biggest in their industry, and helping tell their story reflects how scalable, flexible, and important Box is to their success. We put NASA next to Amazon next to Coke next to Southwest next to AstraZeneca next to AirBnB next to Nationwide, the common denominator being that they’re all powered by Box. Brands were chosen for their impact, images exemplified their boldness, words were written to inspire, overall creating a dynamic and exciting identity of customer success. 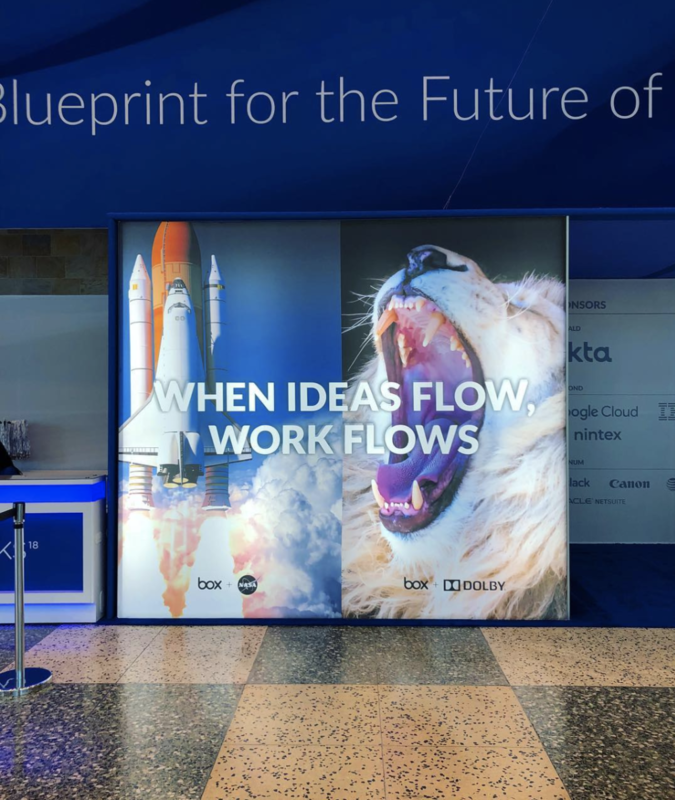 The graphics showed up as physical banners, in keynote presentations and breakout sessions, as video transitions, booth graphics, a mailed teaser, swag, packaging, and social posts. The videos furthered the idea of overlapping diverse brands with one another, emphasizing Box as the commonality between them. It placed the power of opportunity and success in their customers and drove momentum to what that opportunity can do. The opening video kicked off the BoxWorks event and each loop transitioned a key message from the event and were used as individual bumpers for speaker presentations and as transitions within keynote speeches. The video loops were done in collaboration with Invision.